Los Angeles Equestrian Center in Burbank CA. Tickets for the GDFNA have not been issued yet. Please sign up to receive our Newsletters for updated Information and the announcement of our upcoming dates. 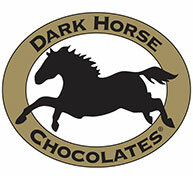 Members of DressageClinic.com entitled to 20% Discount off ticket prices. Please click on the link above and you will be taken to our online Ticket Service Center. After Your Ticket Purchase, Print Your Ticket Receipt and Present It At the Entrance. It is important to purchase your tickets as soon as possible (limited seating). Buy your tickets soon so you can take time, to make time, for some California Sun . Take Advantage of the DISCOUNT Savings Tickets Available NOW with 20% Discount off Regular Prices. 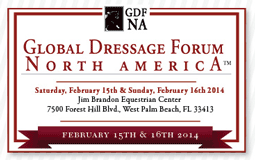 Discounts are available for DressageClinic.com Active Members and also for members of selected Dressage Federations who are Education Partners with the GDFNA. 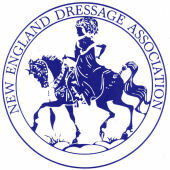 If you are an active member of DressageClinic.com the Educational website for Dressage Riders, then you can use the discount code DC4GDFNA to obtain a Discount of 20% on Your Tickets. If you would like to become a member of DressageClinic.com please visit the membership information page for Membership details. If you are not a member of DressageClinic.com yet, you can sign up on the phone with our Customer Care Team or visit the website's Subscribe page. For more information on using a discount coupon code please telephone our customer care team for immediate assistance at daytime or for after hours customer support please telephone 1-604-746-9222 available 24/7. If you are a member of one of our Education Partners, please use the following discount coupon codes depending on which organization you belong to. Please click on the link to proceed with your ticket purchase and please enter the coupon code when asked to do so.